Brooklyn, NY - The Skulener Rebbe, Rabbi Yisroel Avraham Portugal, passed away this evening after having been gravely ill for the past several months. He was 95 years old. The Rebbe has been hospitalized in the John Hopkins University Hospital in Baltimore for nearly two months. 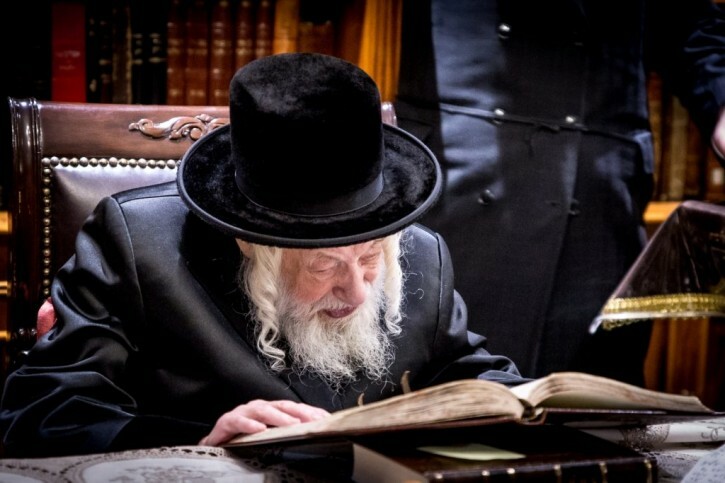 Born in 1923 in Moldava to the previous Skulener Rebbe, Rabbi Eliezer Zusia Portugal and his wife Shayna Rochel, the Rebbe and his father both survived the concentration camps of World War II. In the post-war years, the senior Rabbi Portugal began caring for Romanian children, establishing orphanages in order to guide them along the path to Torah-true lives. Those efforts to save Jewish children had both father and son arrested in 1959 and they were imprisoned for several months by the Romanian government before public pressure and diplomatic efforts finally secured their release in the summer of 1960, an occurrence that the Skulener Rebbe marked each year with a celebratory meal shared with his followers on Shabbos Nachamu weekend. Rabbi Portugal came to the United States in 1960, settling first in Crown Heights before ultimately moving to Borough Park. During that time the elder Skulener Rebbe founded Chesed L’Avraham, a network of Israeli orphanages that continued his efforts to ensure that the next generation remained true to its religious roots. The Skulener Rebbe continued his father’s mission throughout his lifetime, expanding Chesed L’Avraham’s to include summer camps, after school programming and outreach programs. Over the years, thousands of people have flocked from far and wide to the Skulener Rebbe’s home to receive his blessings and seek his advice. Rabbi Portugal was also widely known for his musical abilities and is believed to have composed thousands of niggunim, often carrying a tape recorder to capture new songs as they came to him. The Rebbe and his wife, who predeceased him in 2005, were the parents of eight children. BDE, a tzaddik ben kedoshim !!! BD"E. I went for a brachah many years ago for a refuah shelaimo from yenne miese. B"H, I believe I'm still here because of that brachah!